I come from a country where we say kaka, mister, to our king. A country where equality shows itself in the way we address people. It is years ago that we said ‘Excellence’ to a minister, and that shows the change we went through. I had to get used to the titles and the status attached to them in Kurdistan. It started with being called mamousta. In the beginning I thought that everybody who was called mamousta was a teacher, but when someone used it for the old tea-man, I understand it had a second meaning: someone who is respected. And then there is the word bareszi. My drivers used it at the checkpoints. It took me a while to understand they were just flattering the guard to be able to pass. When the title is used correctly, it is to show respect for someone who is older or higher in rank. On the level of equality, brakem (my brother) or kaka will do just fine. Perhaps that is why I like the word kaka so much. But it is a nuisance that there is no plural for it, and strange it can also be used for ladies. There is one title that gives me goose pimples. Kurbanem, which indicates a wish to be martyred for someone. As it is even used for children, it must have lost its original meaning, linked to the violent Kurdish past. 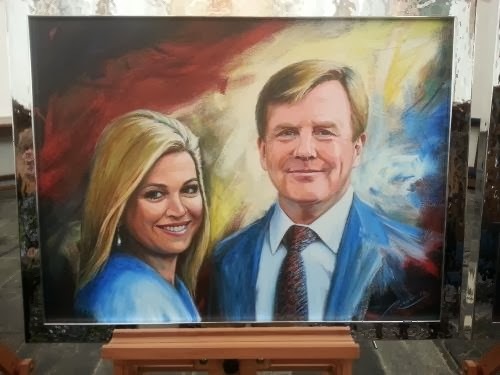 So why did we get rid of these titles in the Netherlands? We decided that money or power do not make someone better. In my country you earn respect. In Kurdistan you can just become the director of an NGO, to be a baresz. But when you quit that job, you lose the title too. The titles show that the Kurdish society is divided in castes. After the President and the Prime Minister follow their family members, and the ministers, medical doctors, judges and parliament members. Next caste are the professors, engineers and common politicians. Next we might find the school teachers and perhaps the journalists, and then the laborers and farmers. Everybody strives to be in contact with the ones above. And once you are in a high position, you stay there. Directors, chair persons, general secretaries – they are stuck to their seats in Kurdistan. If you want to leave to do something less stressful, nobody will understand. You only leave if you have to. Again a difference with my homeland. It is normal to make career changes, and stepping down on the ladder is very common. After a number of years at the helm, it is good to let someone else lead, who has new and better ideas. That explains why in my homeland people are more equal: because they go up and down the ladder. The only one who does not, is the king. Although he too can step down, as our Queen, his mother, showed recently, to make place for him. I am a Dr Spock-child. And as such I am part of a whole generation of children in the West who have been brought up with the help of Dr Spock. Not that I ever met the good doctor. 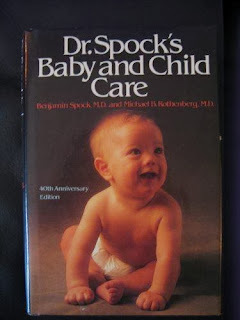 Benjamin Spock was an American who in 1946 wrote a book about ‘Baby and Child Care’ that has been the guide for many parents. His book was a best seller, as parents after the Second World War were insecure how to treat their kids. Large families where children would bring up each other because father was busy out at work and mother with the young ones and the housework, had changed to smaller families where parents had more time for parenting. His advises were different from others at that time. He found the emotional bond between parents and children very important at a time that doctors told parents not to hug or kiss their babies. I think I turned out well, and many of my generation, because our parents could always turn to Spock when in doubt. I think of that book when I see families in the restaurants and public places in Kurdistan. My foreign eyes notice the same uncertainty that my parents must have felt about educating their kids. In this country, anything young is loved best. So in a family gathering, the babies sit on the table or go from knee to shoulder and get all the attention. Here is where the jealousy starts that has such an effect on Kurdish society. The kids that are a little bit older, become outcasts and have to look after themselves. They play outside without anyone keeping an eye on them, they move around in restaurants forgotten by their parents – and they get into mischief. In my apartment block kids are for ever knocking on the door of their home, and their mother opening it. And we all suffer from the noise. I notice very little correcting going on. If a child bothers someone, breaks or damages something, there is hardly a parent who knows how to react. Punishment is hardly given by modern Kurdish parents. Kurdish children learn from very young that crying will get them what they want. Who can say ‘no’ to a child? Well, it’s part of upbringing. Children need to know that in life they will not always get what they want. And they have to lean to deal with it. With changing times because of sudden welfare, it’s time to think this over again. Modern times need new ways of bringing op children. Spoiling them will spoil the society. I think it is high time for a Kurdish Dr Spock to write the book that so many parents here are in bad need of.